Vtail’s patented Eyeprize X is 6’6″ of Pure Profit Power. With an integrated center delivery system allow for a large selection of merchandising utilizing different Vtail product mixes. Along with the machine’s WINNER EVERY TIME technology your entire inventory sells at the same pace assuring 100% sell through. Vtail’s proprietary electronic display boards allowing for whenever the machine is plugged in an impressive effect of flashing LED lights. 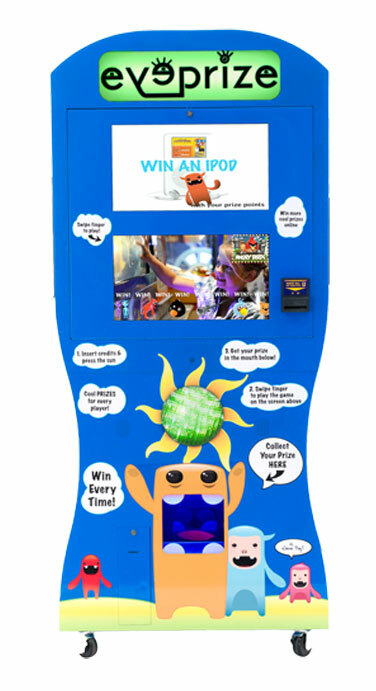 The 22″ built in HD video monitor showcases a auto play “commercial” showing passersby footage on the fun you can experience with the prizes out of the machine as well as higher end prizes through Web Vend Technology. With the most popular game playing through Eyeprize X’s 22″ screen, Eyeprize X has tremendous presence that grabs a lot of attention on location. 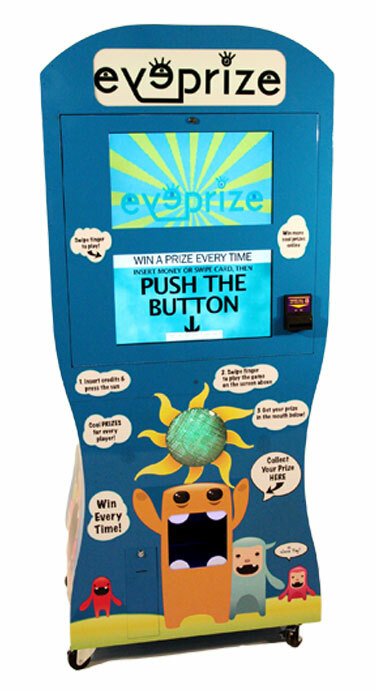 With the most popular game playing through Eyeprize X’s 22″ screen, Eyeprize X has tremendous presence that grabs a lot of attention on location.